ALMOST half of LGBT people in Scotland have experienced depression in the last year, according to new research. Equality charity Stonewall Scotland found 49% of LGBT people have experienced depression – including more than seven in 10 trans people (72%). The research, based on YouGov polling of more than 1,250 LGBT people in Scotland, found nearly a quarter (24%) have witnessed discrimination or negative remarks against LGBT people by healthcare staff, while one in six (16%) have deliberately harmed themselves in the last year. More than half of trans people (52%) said they had thought of taking their own life in the last year, while two in five (37%) have avoided seeking healthcare for fear of discrimination. Three in five (60%) LGBT people reported experiencing anxiety in the last year, including nearly four in five (77%) trans people. Colin Macfarlane, director of the charity, said: “Last year, our research found an 89% increase over a five-year period in the proportion of LGBT people who had experienced a hate crime. “Sadly, this report highlights the impact that hostility and abuse have on mental health and wellbeing, with many lesbian, gay, bi and trans people in Scotland experiencing poor mental health this year. 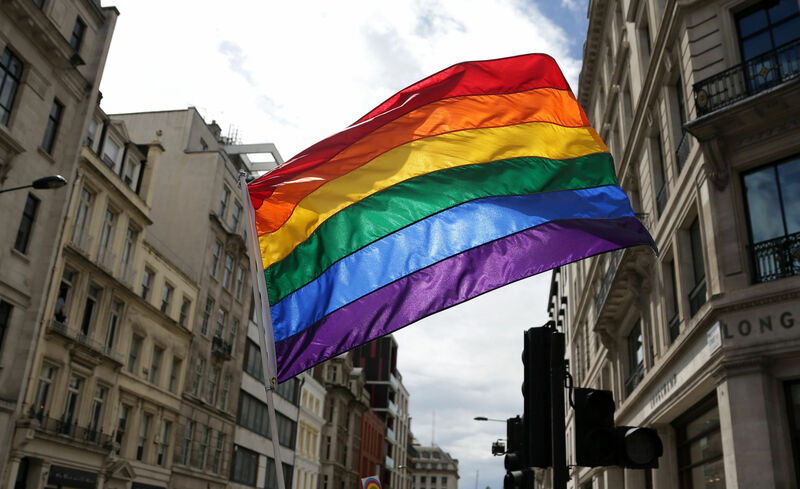 “It’s vital that LGBT people feel able to access quality healthcare when they need it, but this report shows they can expect to face unequal treatment and discrimination when accessing healthcare services. “Many LGBT people – particularly those who are trans – continue to be ‘outed’ without their consent, treated with inappropriate curiosity and subjected to unequal treatment by healthcare staff. The findings also indicate more than a quarter of LGBT people (27%) have encountered healthcare staff who have a lack of understanding about specific lesbian, gay and bi health needs. For trans people, that figure rose to nearly three in five (59%). Stonewall Scotland is now calling for all healthcare staff to receive training on those needs, as well as a zero-tolerance approach to homophobic, biphobic and transphobic discrimination. Mr Macfarlane added: “Fortunately, we’ve seen strong commitments from NHS Scotland to ensure health services support LGBT people. “The Scottish Government and NHS Scotland must continue to act to ensure all staff understand the mental and physical health needs of LGBT people and how to support them.